In this special report, Tropic profiles a high-flying set of under-40s making waves in business, sport and the arts. They are passionate about what they do, take calculated risks, and work extremely hard. They thrive on innovation, are open to collaboration, and think beyond the borders of Tropical North Queensland to forge new paths and paradigms. For the most part, they are also remarkably humble despite being part of a generation often described as self-centred. Most of the talent on Tropic Magazine's Next Gen Index aren’t in leadership positions just yet, but perhaps some of them should be. As much as we respect the established figures of the old guard in local politics and business, an injection of fresh talent in the corridors of Cairns power might be overdue. For the moment, the Next Gen is too busy getting it done to think of political coups and corporate takeovers just yet. With a view to the horizon, we want to celebrate their successes and promote a fresh wave of future leadership for the city. The Next Gen Index was compiled using the Tropic team’s own selection combined with hundreds of suggestions from readers on TropicNow’s Facebook page. Take a fresh look at our city’s young movers and shakers and their role in taking Cairns to the next level. You’ll be hearing a lot more of them in coming years, no doubt. A sensational example of creative collaborations taking place in Cairns. This photo shoot of model Sophie Spear was put together by our top 20 listers Glenn Saggers and Sarah Holmes, together with Andres Cortez and Kayla Horsfall. Alex Box, the revolutionary London-based creative make-up artist renowned for discovering a relationship between art, science and nature. She embraces individuality which is so important to me. Shella Ruby Martin, a dear friend of mine from Melbourne in the fashion beauty industry who specialises in editorial work. My family and friends really inspired me to be the very best I can be. Their love and support is endless. Having a strong network is one thing but having support from your loved ones is everything. Is there a supportive culture of young people in Cairns? Yes of course. I have found so many other inspiring creative people working together to make beautiful projects locally. But I feel we could have more support from local council and government with artistic grants or even organising more competitions locally. To support and encourage our future generations we need to push the creative boundaries, not just in high school but in our current industry. We should come out from behind those palm trees and let the world know who we are. What are the unique attributes and advantages you bring to your work? Variety. I love my job because the possibilities are endless. There is always freedom to create new and different concepts with make-up from bridal to body painting. I get to meet new and beautiful people every day and clients come to me for a point of difference. You see a lot of generic styles being produced but truly it’s about finding the inner personality of the client and helping them express their individuality. It’s about confidence. What do people under 40 years of age have to offer Cairns? A fresh perspective, enthusiasm, drive, individuality, tech savvy advantages and advancements, optimism, a light-hearted outlook on life, a new voice and new stories to tell. Designer. Mentor. Curator. Artist. Grace Lillian Lee is all of these things and more. 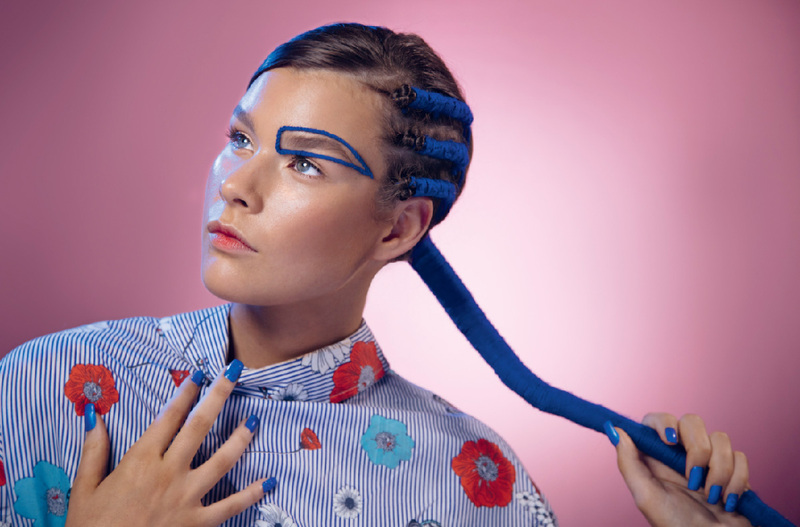 Drawing inspiration from her Indigenous heritage, Grace has forged a national profile via colourful, joyful collaborations with Cape York and Torres Strait communities and art centres, along with her work combining elements of fashion, textiles, traditional weaving and post-modern art. Most recently, Grace curated a fashion performance for the Commonwealth Games called INTERTWINED, featuring 20 Indigenous fashion models in a show of dance, music, art and textiles to celebrate Torres Strait and Aboriginal culture. My best friend & Nutritionist Christie Fischer, my Cherries teammates each and everyday, my family’s blood, sweat and tears of hard work, my online world Melissa Ambrosini, Gabrielle Bernstine and Nat Kringoudis. Oh, and Dr Stephen Eddey, one of our lecturers. There are a number of supportive networking groups in Cairns that have been developed for young people in business, however I feel none focus on emerging entrepreneurs in the area of health and wellbeing. As you have probably gathered I am very passionate about holistic health and a dream of mine is to kick-start the Smart Party scene in Cairns. The Smart Party or Cacao Party is a new and exciting artistic, holistic, altruistic, sensual, social event creating alcohol-free alternatives to give future generations a choice. Kombucha is the future! I’m picturing this event at The Tanks where people can make business connections and friends with people who don't need to drink to have a good time. What are the unique attributes and advantages you bring to the work you do? I’ve built a strong, supportive team and together we've created a loyal customer community where we know each other’s names, go the extra mile and I make it my business to brighten everyone’s day! The Cherries Elixir Bar is the first of its kind in FNQ with fermented shots and herbal shots, and we have the most therapeutically dense smoothies in the world! Our in-house kombucha is tested to ensure the highest quality product is delivered to the consumer. I’m here to walk our talk and be the shining example. Health is the new black! The young people of Cairns are more conscious about their health and are not consuming as much alcohol and sugar-based drinks as previous generations. This shift means kombucha and herbal based drinks are becoming more common. Life's about choices. And Cherries is striving to be at the forefront of this shift by creating healthy alternatives for future generations. Oh yes, and in case I forgot to mention, kombucha is the FUTURE! I have been a lawyer for 16 years, starting my career with MacDonnells Law in 2001. This was followed by a stint at WGC Lawyers for 7 years. For the past 7 years I have been running my own law firm Law Solutions on McLeod Street with over 12 staff, most of whom are under-30. What and who inspires you in your work and business? Starting your own business is daunting at the best of times but doing so during the height of the GFC in 2009/2010 would be what some would say is the very definition of craziness. What I did find was that in the tougher times, Cairns has a great culture of supporting people who are “willing to have a crack”. My clients and many business people around town were a great source of inspiration because many of them had made a lot of money previously but were now in a cycle where they were losing a lot of money. Regardless of this, they got up and pushed themselves and their business onwards and upwards each and every day. Is there a supportive culture in Cairns for young entrepreneurs? Is the "establishment" doing enough to help young people in business? Some days, business feels like you are on a battlefield. The daily attrition can take its toll. Thankfully, there are many people and events around Cairns to assist young entrepreneurs. The guys at the Space have been doing the heavy lifting in bringing amazing speakers to Cairns for years. Whether it’s due to our colloquial regional nature, but over the years I have found that I could pick up the phone to just about anyone around town and they were willing to help with general business advice. What do under-40s have to contribute to the future of Cairns? There are so many great future business leaders coming through in Cairns in what could arguably be the biggest boom in the city’s history. What we need to do individually and collectively is give these people the platform to do things their way. That platform could include positions on Boards and Committees as well as partnering them up with some of our senior business leaders to pass on their knowledge and experience. She may only be nine years of age, but Molly has started something of a local revolution. She launched the Straw No More project with the lofty aim of having single-use plastic straws removed from school tuck shops in Cairns. In between presenting a talk as Australia’s youngest ever TEDx speaker, Molly’s campaign has so far convinced more than 90 schools around Australia to ban straws. She was named Cairns Regional Council’s 2018 Young Woman of the Year for her inspiring efforts. Challenges of starting up a comedy scene in Cairns? When I first came to Cairns there was no comedy scene at all. The few people keen to do comedy would perform either in intervals at the Cairns Dinner Theatre shows or at open mic nights between the guys playing Wonderwall covers. We were taken in by Cath at Eato's and Guilt Free Comedy was born. So, we then kicked off on building an awesome group of comedians and making comedy a viable option for a night out. Over a year and a half in and now there is a thriving scene with some of our comedy mates even starting their own nights! It's awesome! Is Cairns a good place for young entrepreneurs to start new ventures? We were lucky in many ways because comedy fits straight into the huge hospitality and tourism industry here. I feel that you do need to really back yourself in Cairns and if you can show that to some of the decision makers here (in our case it was venue owners) than they will give you a go. I know that there are so many people younger than me that have ripped in with apps, businesses and charities so there must be something in the water here! Do we need to see more under-40s in leadership roles in politics and business? Definitely! I'm a huge fan of getting more youth in politics. The ideas that are getting thrown around by high schoolers right now are better than half the dribble in Canberra! We should be making the pathway to politics clear for the big thinkers of this generation and the next. You always hear pollies say they want to make things better for the next generation and their children’s children, blah blah. Well, maybe it's time for the youth to get their hands on the wheel and steer the ship a little. We have a real passion for solving problems and the work that we do not only solves problems such as food waste it also makes people's lives better by providing alternative nutrition and of course functional food and cosmetic extracts for better health and wellbeing. We work every day in nature and you can’t go wrong with that! Is there a supportive culture of young people in TNQ? It’s really impressive to see it growing. When we first started we may have had only a few people brave enough to support a “banana's idea”. But that also pushed us as a very determined team. Now we see start-ups gaining massive support from the “get go” and that is fabulous as it should help their journey grow much faster. What are some of the unique attributes and advantages you bring to the work you do? I think we are yet to have a “normal” day in the office yet, there’s always a science experiment going on in the office, test kitchen or factory! We enjoy creating products that enrich people’s lives naturally. We get the opportunity to provide opportunities to sectors across manufacturing, health, agriculture, design, and R&D. What do people under-40 have to contribute to the future of Cairns? Where do we stop? *laughs* You know it really is up to this generation now to forge a positive change in the TNQ economy that has long term sustainability and scalability. We have visitors every week from all over the globe looking at transferring and spreading the knowledge we have created. What better place to host business than in beautiful TNQ! Our judging panel couldn’t possibly fit all of the TNQ’s bright young stars in our top list, so we’ve compiled this selection of under-40s doing great things in business, the arts, sport and the community. I feel really fortunate to work at a campus surrounded by incredibly passionate educators and of course our students, many of whom have overcome significant obstacles in life to get where they are today. You can’t help but be inspired by their stories and drive. I’m also a big podcast fan, a walk to work with a juicy new episode on design thinking always puts me in the right frame of mind for the day. Is the "Cairns establishment" supportive of emerging entrepreneurs? I personally feel like this culture has evolved over the last few years. There seems to be more doing, less complaining and more collaborations. But, we’ve still got a long way to go. There can be a trap of blaming the ‘establishment’ for what Cairns doesn’t have. That’s not going to get us anywhere. We need to shift our mindset and say what can I do and who can I partner up with to make (insert awesome idea here) happen. I like to think I’m creative and a glass half full type, and I can apply this to projects and challenges to navigate new solutions. From serving in the Navy to securing the city, Toby and Samantha Waite have come a long way. The couple launched TSW Security in 2016 and it’s grown at a rapid rate since then. Their dedication to professionalism and high-level service is paying off with expansion into a new headquarters at the Civic Shopping Centre bordered by Sheridan, McLeod and Florence Sts. The new premises will feature a gym, training courses, office space and a retail store. Is the Cairns establishment supportive? Definitely. We've had nothing but support from business owners in Cairns. What do under-40s contribute to Cairns? Enthusiasm, passion to improve Cairns, and a drive for positive change within the community. The food and beverage scene in Cairns has undergone a remarkable revolution in recent years. Baristas, roasters, chefs and foodie entrepreneurs have brought flair and capital city quality to an increasingly discerning local audience. Here, we celebrate the best of the best under-40. What could Cairns do to better support young entrepreneurs? Unfortunately, in business no-one really likes to talk about their problems. But if there was a way to anonymously put business problems out to the entrepreneur community for them to solve, it would bring new solutions to old problems. Should there be more under-40s in leadership positions in politics and business? Having people under-40 in leadership positions is a hard one. They may lack experience but they could also bring new perspectives. I believe in the right person for the right job. Megan and Chris Thomas are the very model of a modern-day working family. Juggling the relentless demands of a young family, business ownership, charity fundraising and volunteering are all in a day's work for the owners of PhyxMe Physiotherapy. They've built up their clinic from scratch to a team of 20 staff and instructors, while also treating patients, raising thousands of dollars for charity and volunteering their services for sporting teams on weekends. We also love the fact they relocated to Cairns from Sydney to raise their kids, bringing capital city energy and professionalism along with them. What’s your philosophy on food and fitness? It’s all about balance – think green smoothies with the occasional donut. My business focuses on nutrition, fitness, holistic wellbeing and education. Currently I’m in the process of expanding the Cass Olholm Fit Nutrition Studio into a large health and fitness facility, rebranded as The Ground Australia. The Ground Australia will continue to focus on these fundamental aspects of health. Additionally, I have also been fortunate to grow up in the Cairns tourism industry within which I have gained a tremendous amount of knowledge and experience. What and who inspires you in your work? In the field of business, not only am I completely inspired by my parents, Geoff and Jenny Olholm, I am also grateful to have grown up and worked within our family business and to have had the opportunity to quite literally learn from the best. They are the definition of hard work and are proof that a dream can never be too big, and that you can achieve absolutely anything you put your mind to. As I mentioned, I’m lucky to have access to two Cairns business leaders at my fingertips. Additionally, I have also connected with The Young Entrepreneurs Project which provides a range of valuable workshops and events that encourage and foster entrepreneurship and are a great networking platform for current and future entrepreneurs. In saying that I do believe there is room for further growth and support from governments, councils, groups and other bodies. My passion is my purpose and my job. I want to make a positive difference and quite literally change people’s lives. It is no secret that nutrition and fitness go hand in hand, and that is why I integrate the many aspects of health. Not only do I want to provide a space for people to ‘get fit’, I am building a place of education, empowerment, community and growth; a place where people can nourish their mind, body and soul. What do people under 40 have to contribute to the future of Cairns? I feel there is a growing sense of work/life balance and more and more people embracing the notion that ‘instead of looking for a job that fits your passion, creating a job that fits your passion’. There is also an increased level of collaboration and the sharing of knowledge between young people in Cairns. This in turn will allow for stronger, more positive, successful businesses. As the saying goes, a rising tide lifts all boats. Lots! I enjoy being an agent of positive change and the ripple effect this has on the immediate and external community. I love acting as a conduit and linking people together to achieve a shared outcome. Not only do many hands make light work but support networks are extended and strengthened. Building strong relationships with community, industry and government is key. Yes most definitely. I have been proactive in surrounding myself with supportive people and actively support others - it’s a win-win. We all raise each other up just like a rising tide lifts all boats. I'm not afraid to ask. People in this town can be so generous if you give them an opportunity. I'm constantly grateful for the time, expertise and resources that Cairns people provide to projects I work on when simply asked. Entrepreneurial spirit and energy, a new and different way of thinking, improved sustainability and diversity of industry, innovation through engagement and partnerships, tenacity and vision. Passion / Being creative in a business she loves. In the same way Darren Barber and Sam Kennis started a revolution in the local small bar scene, Annee created an entirely new niche in the Cairns café scene - all on her own. Starting a few years ago with a tiny stall at Rusty’s Markets, Annee’s Vietnamese coffee was a hard sell to begin with. But as more people tried it, Annee’s business grew and evolved. She now has queues lining up to sample her delicious array of drinks and treats at a shop just 100 metres or so from that very first stall. Her passion for her business and belief in her products is inspiring. These days Greta spends more time on the road than the small town of Mena Creek where she grew up, but our Next Gen list wouldn’t be complete without recognising her rise in the music industry. Thanks to strong airplay support from Triple J and the release of her debut album Full Grown in late 2017, Greta is making sonic waves on the national stage. Darren: I am always inspired by the way Richard Branson goes about his business and try to reflect his values in everything I do. I really relate to the people that build something from nothing. Sam: I've always been inspired by customers. I aim to make people who visit our venues smile and be absorbed in that particular venue. Whether it be theatrics, views, staff, decor, music or food, my goal is to make the customer leave in a better mood than what they entered. Is there a supportive culture in Cairns for young entrepreneurs? Darren: I have seen a massive change in the culture of entrepreneurship in Cairns and love the work that Troy and Damien do out at The Space. I really think the council could be doing a lot more to help young people get into business. There is just too much red tape. Sam: The younger people of Cairns have really gotten behind Three Wolves in particular. They have been very supportive and have given feedback about the venue. It would be great for a regular under-40s workshop. Any ideas? Darren: I believe I’m a really hard worker and just get stuff done. We have tried to do something different at Three Wolves and focus really hard on our local market and I think that gives us a great advantage in our community. Sam: I spent a few years traveling around the world and worked extensively in bars in Sydney, so that's given me the advantage of seeing how different places work and what people like. Bringing different styles in terms of drinks and food together makes for a unique venue. Darren: Everything. There are so many small businesses in Cairns being opened and run by people under-40 and the money that they make gets reinvested back into the Cairns economy. The under-40s are creating a culture that hasn’t been seen in Cairns for a long while. We are bringing this city back to life! Sam: Under-40s bring a fresh vibe to business in Cairns with new ideas and by pushing boundaries. Passion / Challenging old mindsets, stereotypes and industriesustries. Tell us about your work and background. I'm a software engineer based here in Cairns. I've been building things on the Internet for 15 years. I've worked both with an agency and as a freelance consultant, working on national level products and campaigns. Two years ago, I launched Nexus Labs, a small, technology-focused digital agency right here in Cairns and we have been working on a number of products for high-profile clients in the town. Most recently I've co-founded Massblock, a startup focused on solving key issues faced by investors in the digital currency space. Digital currencies are booming right now and it's exciting to be part of the fastest growing fin-tech sector globally. I think the government at a state level is doing a pretty good job encouraging emerging entrepreneurs. Advance Queensland is really pushing hard to help foster new and innovative ideas in the state - regions included. Troy and Damian at The Space are also kicking goals in this area, helping to build a supportive culture for entrepreneurs in Cairns. I have a very process-driven and analytical mindset, which filters through to everything I work on. I'm also a life-long learner, never satisfied with my level of knowledge or understanding when it comes to my work. Combining these two core tenants allows me to make very informed decisions about the direction of a project and work with a speed and clarity that others may lack. 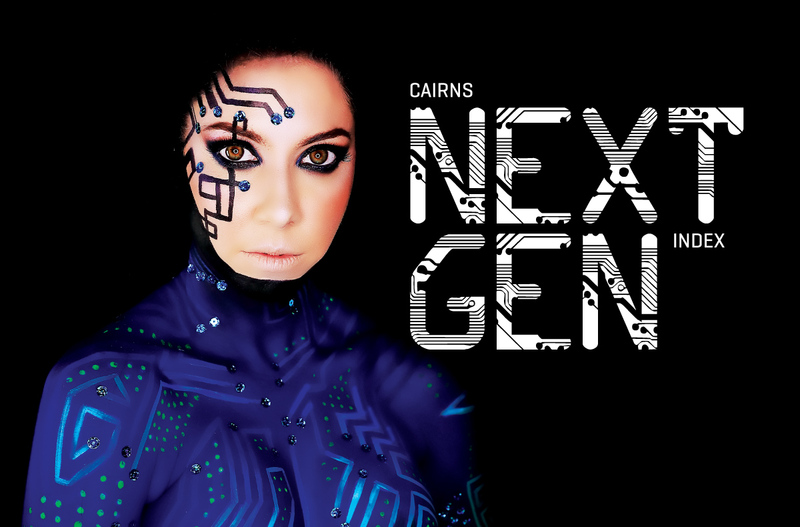 People under 40 are the future of Cairns. The conversation shouldn't be about what we can contribute, but more about our responsibility to contribute. We're part of a disruptive generation that's challenging old mindsets, stereotypes and industries. The advent of the Internet has exposed us to an entire world of ideas and viewpoints that our parents and grandparents could have never imagined and this free-flowing exchange of ideas and information is leading to younger people taking more personal responsibility for their own views and beliefs. It's up the leaders amongst us to stand up and help shape the future of Cairns and I suspect that future will be surprisingly distinct from anything we have seen before. Passion / Helping people win! What do under-40s have to offer Cairns? Hope for a better future if they can work as a collective community.